Use a Different Cleaning Method For a Textured Floor | Blackwell's Inc. Put a little water on the floor and just about any restaurant kitchen floor and bathroom floor, and just about any building entrance on a rainy day, can become slippery. Slippery floors can mean nasty falls. 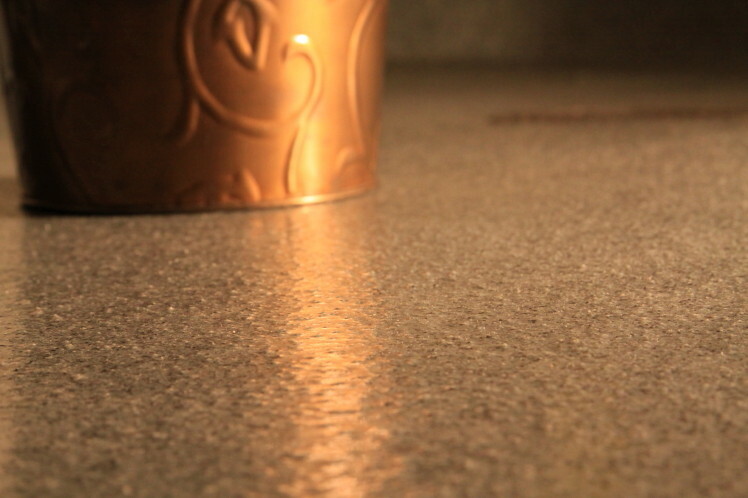 A slip-resistant decorative quartz epoxy floor. Enlarge the picture and you can see the texture of the floor. ﻿One solution is a textured, slip resistant flooring system made by combining a clear epoxy resin and a colored quartz aggregate. 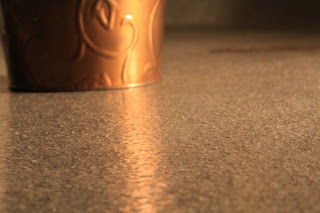 The aggregate in the coating creates a rough floor surface that is completely sealed in by the epoxy coating. It works great to help prevent someone from slipping on a wet floor. But a textured floor requires a slightly different cleaning method. The old mop and bucket of water leave behind dirt particles trapped by the rough texture of the floor itself. To clean the floor, use a soft bristled brush along with the soapy water to dislodge the dirt from the floor. Follow this brushing with a final rinse and use a wet/dry vacuum to remove both the dirty water and rinse water from the floor.